The new whirlpool imfresh range of single door refrigerator comes with special features where it not only provides 12 hours of milk preservation during power cut but also maintains optimum moisture in your vegetables and keeps them garden fresh for up to 7 days. It comes equipped with extra features such as stabilizer free operation, manual defrosting, removable anti-bacterial gasket. 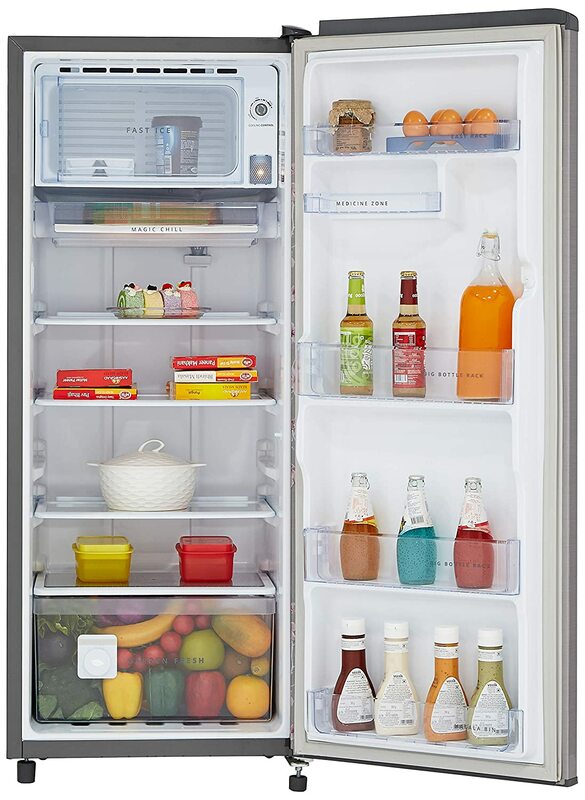 It has 2 dedicated door racks that chill up to three 2l-bottles and five 1l-bottles.